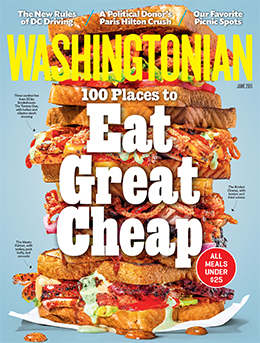 The February 2017 issue of Washingtonian named La Limena, a Peruvian/Cuban restaurant in Rockville, among the “100 very best” in the DC region. This listing includes it among such Michelin-starred restaurants as Pineapple & Pearls, Minibar, Fiola, Rose’s Luxury, and the Inn at Little Washington, but it’s far less expensive. If you’ve already eaten there, you know it’s popular and packed nearly every hour. Thankfully, they’re opening a second restaurant later this year in the Talbott Shopping Center just north of the Woodmont Country Club on the Rockville Pike. La Limena is located at 765 Rockville Pike (northwest corner at Wooton Parkway/First Street) but it can be hard to find because it’s deep in the corner of a strange two-part shopping center (how did the Planning Commission allow this?). The shopping center contains a CVS, PNC Bank, and IHOP, and you’ll want to park close to the furthest back corner of the northern shopping center (you won’t be able to see the sign from the street). Peter Chang Restaurant in Rockville, one of the 100 Very Best Restaurants of 2016. #97. Black Market Bistro, 4600 Waverly Avenue in Garrett Park. American. “Jeff and Barbara Black’s bistro isn’t far from Bethesda, but it has an out-in-the-country vibe. And though it’s a neighborhood gathering spot, it’s also a destination for those seeking a tete-a-tete rather than a scene, along with easy-to-like food. Crackly-crust pizzas (the mushroom-pecorino is terrific) share space with Modern American plates such as a chew-in-a-good-way hanger steak with chimichurri. Cake lovers will find their happy place—especially if the blackout cake is on the menu. Even though it’s mated with Chantilly cream and chocolate sauce, we amp it up with ice cream.” If you miss Addie’s, here’s the next closest restaurant owned by the same family.